Nearly a year ago, Google sunsetted the Supervised Users program for Chrome OS. This brought and end to an era of convoluted and insanely frustrating account management for parents wanting to help their kids maintain healthy online habits. Moving away from the Supervised User platform was a much-needed shift as the system was fractured at best and there wasn’t much hope that it would ever get better. The problem was that parents were left with no viable alternative to Supervised Users. Third-party apps such as Mobicip offered some really great features but fell short because there was no support to monitor and manage the then-new addition of Android Apps. When Supervised Users was turned down, Google offered only the hope that they had something great in the pipeline that they had been working on for some time. Today, we get a sneak peek at what that “thing” is. Back in April, we saw signs that Family Link would be the answer to the Supervised User program and it looks like that is becoming reality. Family Link for Chromebooks is now officially a thing and is currently working in the Beta channel of Chrome Os. A post from the Community Manager of the Chromebook Support Forum lays out the ins and outs of what Family Link for Chrome OS can do. 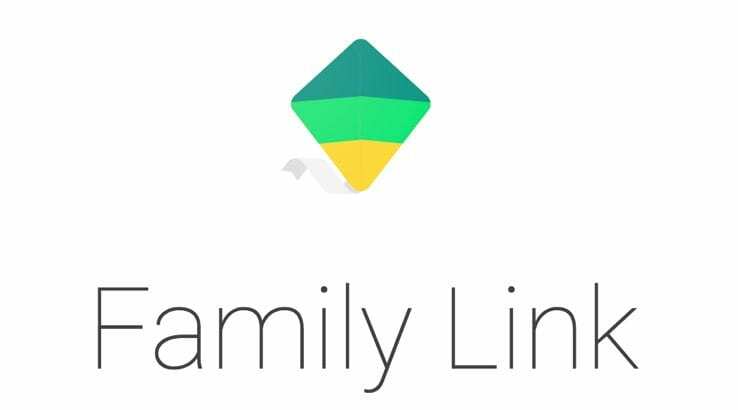 Family Link allows parents to customize a list of websites that kids can visit, and review and approve the apps they can download from Google Play. Parents can also use Family Link to hide individual apps when necessary, and manage in-app purchases for apps already installed on the Chromebook. Parents know best when it comes to screen time. Family Link supports parents by making it easy to set screen time limits and establish bedtime hours. Family Link also offers activity reports to show parents and kids how much time is spent on their favorite apps (note that some app activity, such as for music players and messaging apps that run in the background, will not be fully tracked with weekly or monthly activity reports). Parents can also manage settings for their child’s Google Account, and remotely lock supervised accounts on the Chromebook, if necessary. This is true whether the Chromebook is shared by the whole family, or is used only by the child. I spent about five minutes setting up a Google account from scratch for my daughter and the process is clean and clear-cut. Inside the Family Link app I am able to restrict Chrome to whatever URLs I choose and set schedules for onscreen time. On the Android side, when a child attempts to install an Android app, they must send a message for approval or get their parent to physically approve on the Chromebook. There’s a lot more you can do with Family Link on Chrome OS and I’ll be using it over the next few days and reporting back with a full breakdown on Monday. If you want to go ahead and try it, you’ll just need to move the child’s device to the Beta channel. Remember, moving back to Stable will powerwash your Chromebook so save your stuff. Now, keep in mind that this is still in the Beta channel and it is being rolled out quietly so Google can collect feedback and catch bugs before any front page announcements happen. If you do decide to try out Family Link for Chrome OS, keep an open mind and help developers by reporting any issues, suggestions and feature requests that come to mind. Inside the Family Link app, click the settings menu then “help and feedback.” Be clear and concise with your issue or suggestion so that the developers can get this up and running in the Stable channel ASAP. From your Chromebook, press Alt+Shift+i and you can submit your feedback and even include screenshots and system information should you be having a software issue when running Family Link on Chrome OS. I am super excited about Family Link for Chromebooks and I can imagine countless parents will find this a breath of long-awaited fresh air. If this comes to Stable with version 71, we should be able to get it up and running on all the new Chromebooks that will be hiding under the tree for our kiddos. Great stuff and Google has certainly made the wait well worth it.